A rendering of the Marist Health Quest School of Medicine. 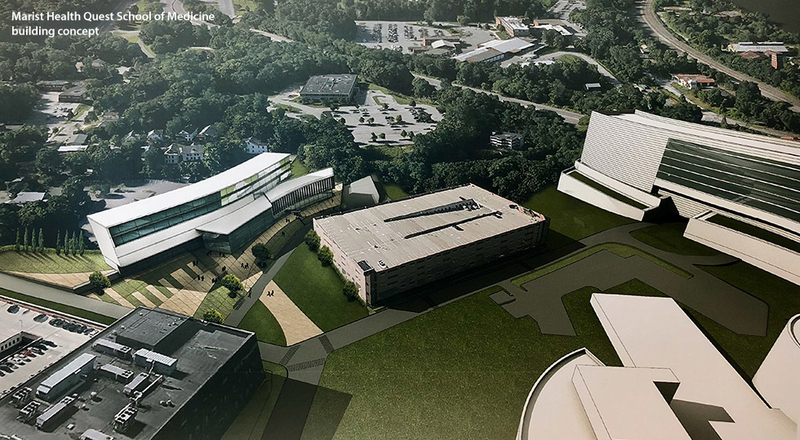 POUGHKEEPSIE—Marist College and healthcare services provider Health Quest plan to build a $75-milllion medical school in in Dutchess County. A site for the new Marist Health Quest School of Medicine has not been finalized, but Marist and Health Quest state in their joint announcement on Sept. 12 that plans call for a building of approximately 100,000 square feet. Once confirmed, the timeline for completion of this building would be approximately three years and in time to seat the first class in the summer of 2022. Additionally, students will be educated in special purpose facilities on the Marist campus for subjects such as gross anatomy. There will be more than 100 full-time employees at the medical school, with numerous additional part-time opportunities. The school administration and classroom space will be located on the Vassar Brothers Medical Center campus. Health Quest of LaGrangeville is the parent of Vassar Brothers Medical Center in Poughkeepsie, Putnam Hospital Center in Carmel, Northern Dutchess in Rhinebeck and Sharon Hospital of Sharon, CT. The Marist College Board of Trustees will oversee academic governance matters, while the Health Quest Board of Trustees will oversee issues related to clinical governance. Marist and Health Quest will also convene a Marist Health Quest School of Medicine Joint Board of Overseers to serve as the immediate oversight authority for all matters regarding operations, budget and strategic planning. 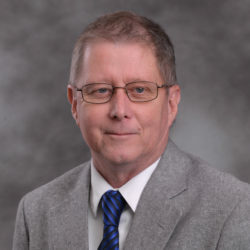 Five Marist members, five Health Quest members, the Marist president, the Health Quest CEO and the School of Medicine Dean will populate the Joint Board. The Dean will provide day-to-day leadership of the School of Medicine, overseeing faculty and staff. Marist and Health Quest officials state the new medical school will meet significant demand for physician education in both the national and regional marketplaces. According to a study by the Association of American Medical Colleges, the U.S. may fall more than 100,000 physicians short of its projected need by 2030. Nearby medical schools are the New York Medical College in Valhalla and the Touro College of Osteopathic Medicine in Middletown. The Marist Health Quest School of Medicine will seek approvals from the national accrediting body for medical education programs—the Liaison Committee on Medical Education (LCME)—as well as the New York State Education Department and the Middle States Commission on Higher Education. A search for the School of Medicine’s founding Dean and dedicated faculty will begin immediately. Once fully staffed and accredited (by July 2021), the School of Medicine is expected to begin actively recruiting students, with the first class of 60 matriculating in July 2022. By 2028, that class size is projected to increase to 120.